Add our beachfront home to your vacation, and well...you’re in paradise. Our home is a beach front property right on West Bay Beach in Roatan. Which was voted 'Top 5 Most Beautiful Beaches' and 'Top 20 Places to Retire' and 'Top 10 Dive Spots' in the World by USA Today. Roatan was also chosen by TripAdvisor as best destination to visit in 2018 , featured by The New York Times as “53 Places to Go in 2008”, and in the Wall Street Journal as a “Hot Spot for 2008”. This is a two level home. You may rent the entire home or by individual levels. The upstairs unit accommodates 6 people. The downstairs unit accommodates 2 people. The upstairs level has two full bathrooms and a separate kitchen. The downstairs level also has two full bathrooms and a separate kitchen. A cook and cleaning lady can be available to you for an additional fee per day. Nancy has worked with us for over twenty years. There are lots of beach chairs and floaties to lounge in the sea downstairs; there are books, chess, checkers, family board games, and more, available for family time and repose. Enjoy the Caribbean right at your feet. Literally! A private beach with clear aquamarine water and an azure sky await you. Lush tropical plants and verdant flowers surround this villa designed to blend in with nature. Hammocks string from palm trees and sunsets flash a very incredible green, briefly in the afternoon. You can take just three minutes to swim out into the world's second largest barrier reef, a very safe and tranquil underwater adventure! Or take a ten minute walk to Gumbalimba National Park, which has an Insectarium and offers a walk through a Tropical Bioreserve, 'Snuba' Diving for Kids, and Canopy Tours on Zip Lines. Whatever you want to do, whether taking it easy, or having an adventure, it's all right on West Bay Beach. The view from our Emerald Beach House is breathtaking and calming. The deck is one of the best places to enjoy the sunset and the breezes and sounds of the Caribbean. Windows along the home make this a very bright and open villa, the only one privately available with a veranda overlooking the ocean on west bay beach. This is the place where you don't have to do a thing, just relax or take a siesta in one of our hammocks, or snorkel and scuba dive and experience one of the top places to dive in the world, with its abundance of beautiful locales and affordable rates. Come and enjoy our Emerald Beach House! Always happy to answer any questions, thanks! Come enjoy our lovely beachfront home! I am a retired Doctor who built this house in 1998. My family and I love scuba diving, traveling, and we fell in love with this magnificent beach. We hope you can see this piece of paradise, too. Our unique access to the beach and our well-kept home make us an unforgettable experience. We have the best access to the beach and the water! No need to plan a walk down to the beach, we are right there, just a few seconds walk. We are also the only house with a private beach front garden area on West Bay Beach. You will have privacy on one of the world's best beaches and time to kick back and relax and enjoy yourself. We have also been renting our home out for over fifteen years! Friends and family have stayed with us over the years, countless times, and because we were the first villa on the beach, you can also get the unique experience of our beautifully designed beach-front villa and garden! Enjoy your time here with the best access and the best privacy! And our story has always been one of love for the reef and the water, the people, and the culture. Our family and house are known to locals, and you will truly have a unique experience with our beautiful home. Come see why we have been coming since 1998! When you visit Roatan it is all about location. Our home is located right on one of the best beaches in the world. We are one of two private homes right on West Bay beach. The beach is right there your feet and along the beach you have Flora, Fauna, Cuisine, Diving, Resorts, Pools, Massages, Shopping, and more. Not to mention the second largest reef is just a three minute swim out. But even so, it still is a quiet and tranquil and unique place. We hope you enjoy. 2 full bathrooms on each level. 4 full bathrooms in total. One outdoor shower to rinse off. View of the beach and sunset from our veranda. Hammocks provided accordingly. Garden wall between beach and garden; and private roped off area only private beach area on West Bay Beach. Great for reading, relaxing, and sunbathing. Offers satelitte television and DVD player, HDTV. One adult dining table, one lunch/children's table. First seats 6, the other 4. Library in main closet. Hemingway, Fitzgerald, beach lit, etc. Beach chairs, paddle boat, floating chairs, and towels are available. We also offer flashlights and other items upon inquiry for late night walks. There is a small first aid kit, and snorkel gear upon request and long-term stays. Upstairs level sleeps 6 and separate downstairs level sleeps 2; call for complete price and details. We loved it! The house is beautiful and right on the beach. Nancy was there to greet us when we arrived, had everything ready, and showed us around the house. There are plenty of nice restaurants and bars within walking distance. Everyone we met was very friendly, and we were really lucky that the weather was gorgeous for our entire stay. Our whole group all agrees that we want to return next year. Amazing location. Well setup for entertaining and relaxing. Nicely appointed rooms. Easy to work with, everything well looked after. Be sure to ask for Nancy as your cook/staff. The meals are incredible and well prepared. The beach is the best on the island and the entertainment is pretty much every evening. Very safe, clean and I expect our party to return in years to come. Casa Kennedy is the perfect location! The beach out front is amazing and so private! Views are beautiful from Casa Kennedy! Wonderful to be in such an ideal situation-privacy when you want it, food steps away when you are hungry! The house itself is comfortable enough but has a few minor deferred maintenance issues. 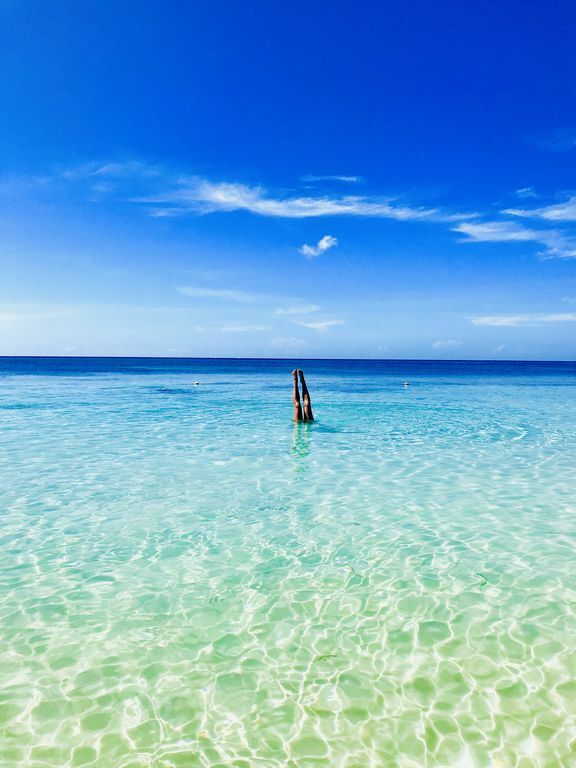 All of those are forgotten when you step outside-and when in Roatan, outside is where you spend your time. Many thanks to Nancy for the yummy meal and the advice during our stay! Thanks, too, to Omar’s cab service for picking us up at the airport and stopping for groceries! The Kennedy family has a real gem and we are grateful to have found it! Our family rented this house in 2017 and 2018. Everything was perfect. Roatan’s island and especially West Bay is a secure destination for family, snorkling, eating and met interesting local people. Emerald beach house has the most beautiful location with private beach and amazing deck. The owner and manager are available and ready to do anything to make your stay unforgettable. Notre famille a loué cette maison en 2017 et 2018. Tout était parfait. L’île de Roatan et spécialement West Bay est une destination sécuritaire pour la famille, faire de la plongée, bien manger et avoir de beaux échanges avec les locaux. Emerald beach house a la plus belle localisation avec sa plage privée et le patio est impressionnant. La propriétaire et le gestionnaire sont disponibles et prêts à tout faire pour rendre votre séjour inoubliable. Stop looking, and just book this property! We are a family of five (mom, dad, and 3 teenage boys). If you are looking for a 5 star property - this is probably not the best choice for you - no dishwasher, no central air, dicey wi-fi, etc... But if you aren't looking for luxury, simply the best location, you cannot beat this house! Right on the beach in front of a roped off swim area. Great spot to sit and watch the action roll by....Next to several restaurants (Beachers, Cayuco, and Bananarama were our favs). Check out the Bananarama website because they have different activities each night - Monday night movies on the beach, Sunday night crab races (benefit children with AIDS) and fire dancing, 2-for-1 pizzas, etc....KarmaRoatan sets up right next door several days a week - she has some amazing jewelry and I purchased several pieces. Get the banana bread from the gentleman who walks up and down the beach each day - my boys would hear him "pan de banana, pan de coco" and they would literally grab a handful of money and buy as much as they could! Water taxis $3 pp to West End - recommend Cafe Escondido for fabulous inexpensive food (breakfast and lunch) as well as Sundowners. The boys would swim out from Sundowners to the sailboat that is anchored in Half Moon Bay and spend hours jumping from it - one of their best memories - plus it's free! I always like to get a piece of art when we travel, and have had a hard time finding anything I like in Roatan. This time I found Shawn Jackson's studio (West End tucked behind Waves of Art Gallery). He has some amazing photographs, and I purchased several. We had Nancy for the entire trip and highly recommend her - I didn't lift a finger - so true vacation for me! Looking forward to returning in the future!!! We rented the whole house and it slept 8 comfortably. The location is as good as it gets, only steps from the beach and a private roped off area on the beach that only guests at this house use. When the cruise ships come in it gets pretty busy on this beach and having your own area to lounge with both shade and sun is very special. We used Nancy to both clean and cook the entire 12 days and her food was both amazing and cost effective. Her homemade Fried Chicken and her Taquitos with guacamole were to die for. Eating out every day can get a little pricey. Omar picked us up from the airport and stopped at the grocery store on the way to the house. He is a wealth of information and can set up anything you need. He has great connections and hooked us up with the best boat on the beach for fishing, banana boat rides, snorkeling and water taxi needs. Eddie owns the boat and Anebo is his mate, they were phenomenal. Tell um Chip sent you. I wiuld highly recommend this home if your considering a stay in Roatan. On the beach there are many restaurants, an ATM, several world class resorts; all other attractions are at most a twenty minute drive. Next door, up a path, is Gumbalimba National Park which offers snuba diving for children (similar to scuba). Anthony Key's Resort has dolphin shows and a marine biology reserve and a notable museum. There are many world class restaurants nearby and water taxis can take you to West End for a taste of bohemian life. We hope you will contact us with any questions and concerns. Please note all activities are locally available on West Bay Beach. Please contact us for questions regarding rates, or anything in general. We charge 80% prior to arrival and upon reservation at your earliest convenience. 20% will be given to our house manager, in addition to the damage deposit. She will be available throughout your stay to help you with any questions and concerns. Our housekeeper and cook is similarly available at a seperate rate for short stays, and free of charge twice a week for month long rentals. We charge for taxes as well.